I've been an Art student since leaving home. As soon as I found Art was alive I woke up. 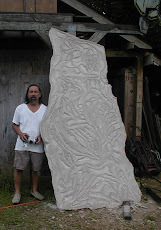 Fortunately, a teacher in college helped me find my way and taught me stone carving. He gave me a hammer and chisel and said make something. He asked me to learn about things aesthetics could not express. After a while, I saw in his work what Art attempts to convey and began to understand the distance between stone carving and stone sculpture and how much there is to learn. The creative wall in my work hit me after the initial excitement exhausted itself. I don't really remember when that happened but I began to question what and why, instead of just enjoying making sculpture. He could see in what I was making, the trouble I was in. Finally, he said he could start teaching me something. Art Handling started after school because it seemed the best way to make money. A friend had seen an add on a bulletin board about a job driving a truck and shipping/ handling Art. I had an interview, was hired and a week later drove a 26,000 lb. gvw truck to Texas. I was hooked immediately: visiting galleries, Museums and meeting Artists all across the country, I started to see what I was looking for by handling the efforts of others interested in the same question and proving it in their work, from ancient Art to what's being made now. 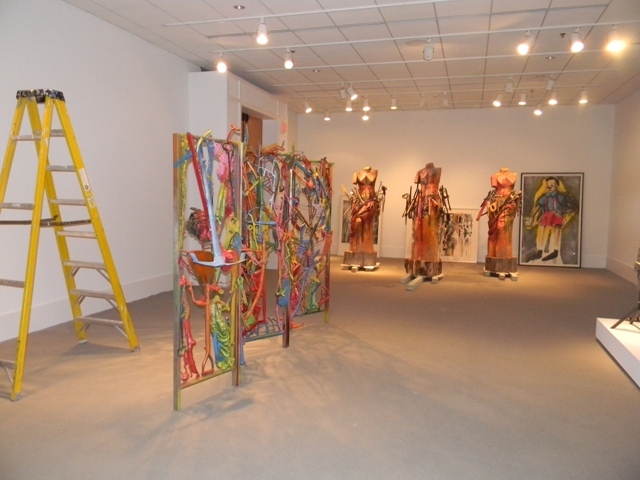 The Kennedy Museum of Art, has an exhibition of Sculpture and prints by Jim Dine. It opened last month, July 7, 2011. He's an important American Artist. He's represented by Pace Galleries in NYC. I loved going to their 57th St. Gallery. On the DC/NYC shuttle, it was a common destination. Walking into their store room and then into the Galleries themselves was always a treat. You saw on their walls and floors what the Art world thought about the state of the Art and how it was valued. Every month a new show. 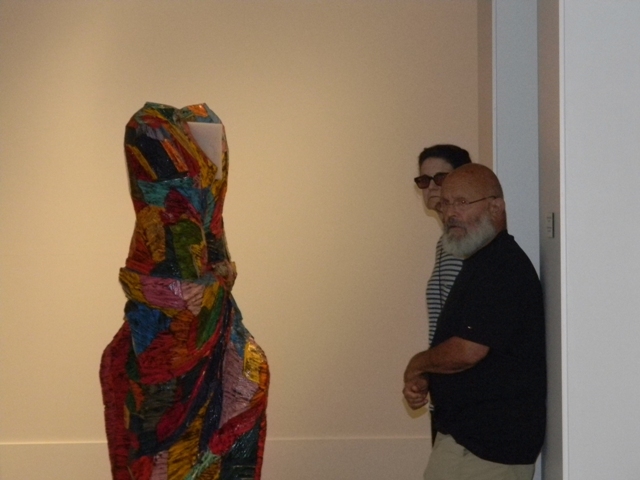 I'd go in, sign some paperwork and walk out with an Art piece by someone like Jim Dine. 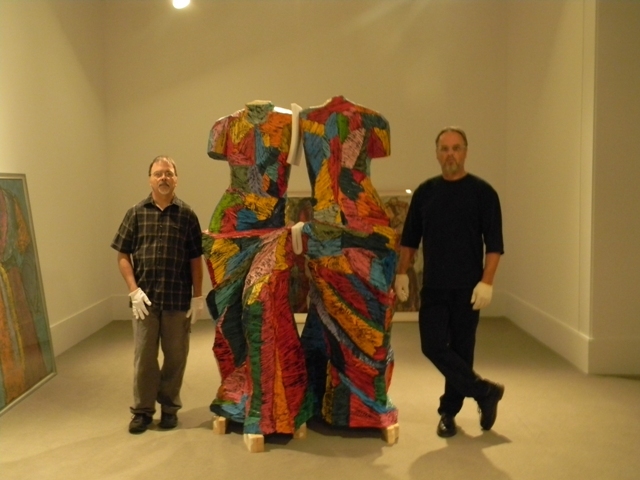 I was contacted by the head registrar of the Kennedy Museum asking if I would be interested in working with his staff in installing the sculpture for their upcoming Jim Dine show. I was recommended to them as a sculpture specialist and they were interested in a bid to help. 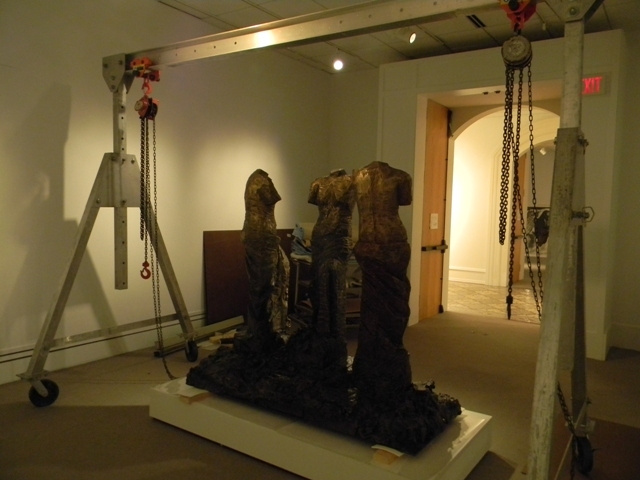 Many of the sculptures were over 1,000 lbs. and there were logistical problems just moving the crates into the building. The largest, as measured by the paperwork, wouldn't fit through the dock door. I immediately said of course. I was lucky and got the job. He and his staff were great. Being there for parts of two weeks turned out to be amazing. The town of Athens, Ohio was too much fun: excellent locavore food, great beer and live music, from old time to bebop. The people I met treated me like old friends. We installed all the sculpture in three days. They were bronzes: large and heavy. Handling them in their crates was difficult but in the end were all placed where an initial site map thought they should go. There was a lot of discussion on object/ floor space relationships. The gantry was set up and we rigged the largest piece. We talked about how the Art looked in the rooms and did what we could: I like seeing tape measures come out and asking if a 1/4" is important. When we were done, it looked good, but we all knew everything was still subject to change. I returned the next week to help fine tune the exhibition. Mr. Dine would be there to oversee the final placement of his work in the gallery space. I was introduced to him, his wife, the Artist Diana Michener and their assistant, Jason Treffry. I was impressed. Seeing him in the middle of his pieces made me smile. I could see in their interplay what he understood and began to understand why. After a while, he looked at me and said the sculptures have to be rearranged. "OK, how many?" I asked. He replied, " Maybe all of them."